You could jump straight into the Label Gallery, but I’d read on if I were you. 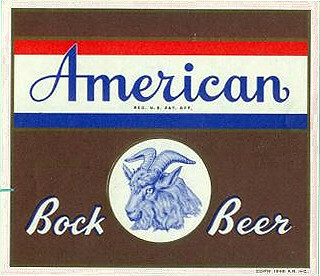 Bock beer has been brewed in Germany for centuries and is still among the more popular beer styles there today. 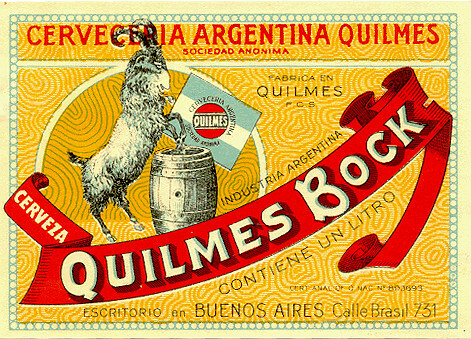 Countless examples of exquisite German labels and advertising exist—both past and present. 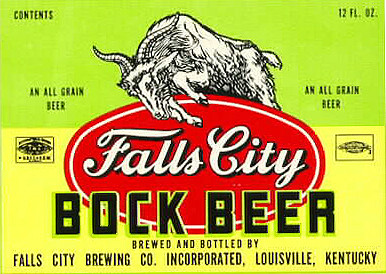 For this exhibit, however, I chose to focus on beer labels hailing from United States breweries. 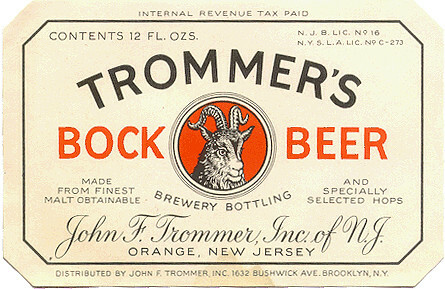 In the early part of the 20th century, there were literally hundreds of local and regional breweries in the U.S., many founded by German immigrants (Fig. 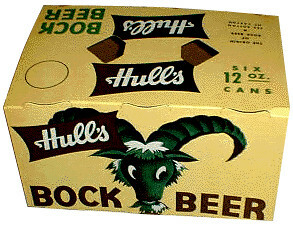 1) who produced the traditional beer styles they enjoyed in their homeland. 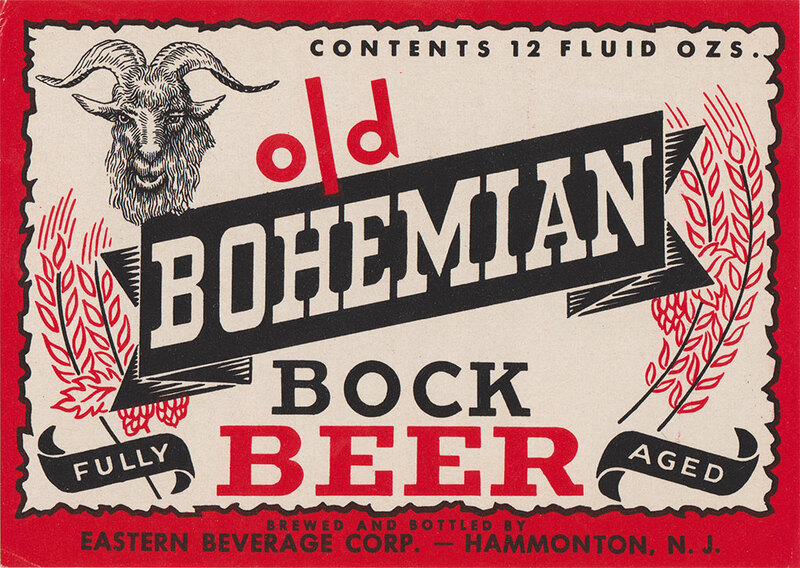 However, the Temperance movement and subsequently the Eighteenth Amendment to the U.S. Constitution, which enacted the approximately 13-year period known as Prohibition, permanently damaged the local and regional brewing trade in this country. 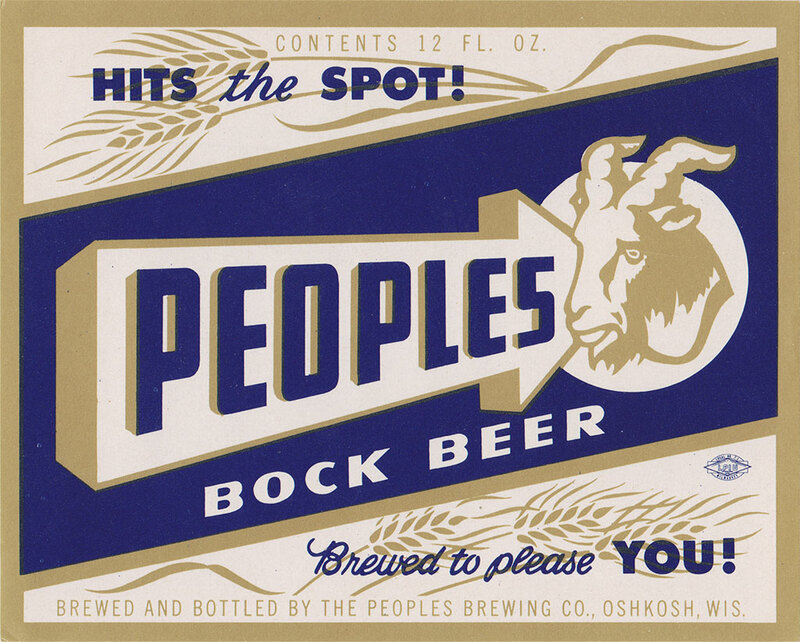 In the aftermath, only a handful of companies ended up controlling the production and distribution of the majority of beer consumed in this country, which was predominantly brewed in the bland, homogenized style known as American Pilsner and what most Americans know as “beer” today. 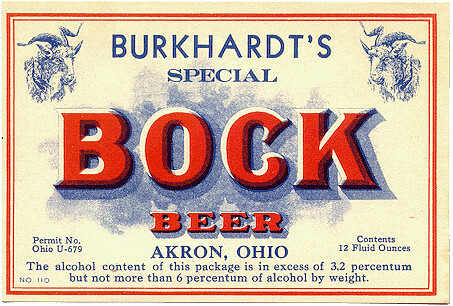 Still, the local German brewers in the U.S., most notably in the northern and mid-western states such as Ohio, Pennsylvania, Wisconsin, Michigan, and Indiana, would try to make a go at it and, for the next several decades after Prohibition was repealed, traditional German beer styles became widely available across at least part of the country. 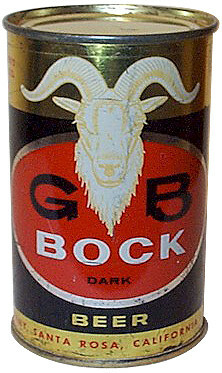 Bock beer was no exception. 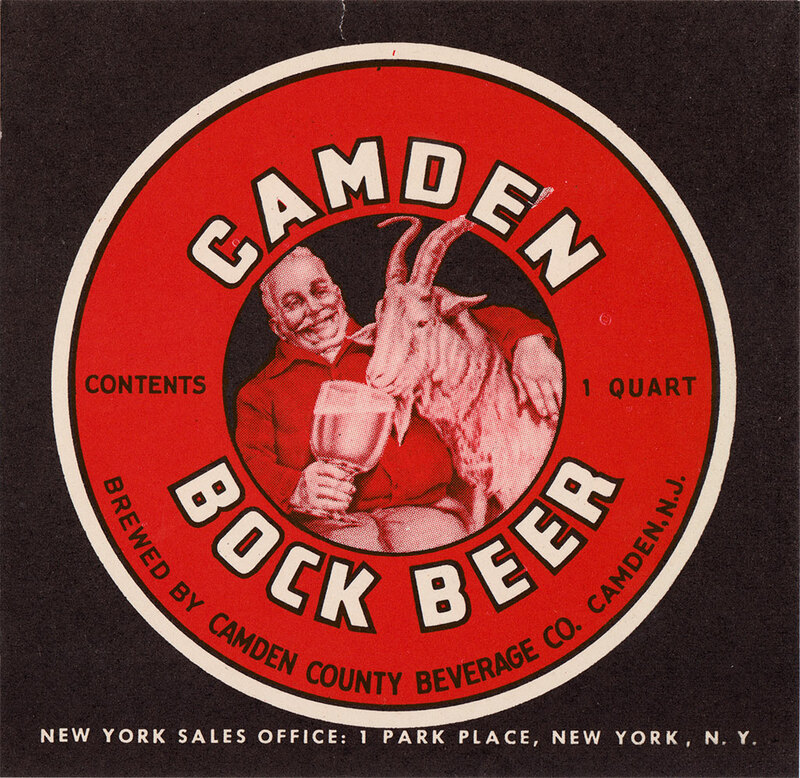 And, like the several hundred year-old breweries back home and as they did before Prohibition, these proud brewers incorporated the traditional symbol of the goat onto their labels and in their advertising for bock beer. 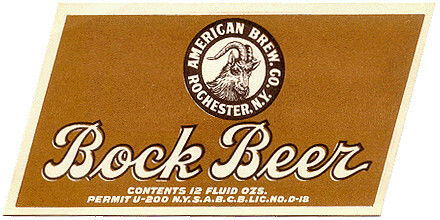 Today only a handful of these breweries exist due to the tough economic times of the post-Prohibition era and the stiff competition and leveraged buy-outs from the big three: Anheuser-Busch (makers of Bud Light and Budweiser and the megabrand that out-spends all other breweries in advertising with US $252.8 Million spent in 2002), Coors Brewing Company (now MillerCoors; makers of Coors Light, the “Silver Bullet,” and Zima with a notorious history involving everything from anti-labor activities to environmental crimes; In 1972, Joseph Coors established The Heritage Foundation, an ultra-right-wing political think-tank in Washington, DC. 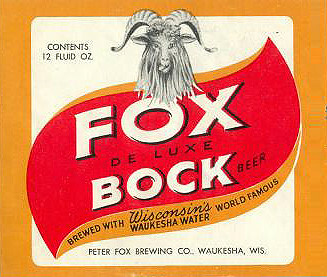 ), and the Miller Brewing Company (now MillerCoors; once part of the Altria uber-corporation, which included Philip Morris, SABMiller, Kraft Foods, and General Foods among others). The loss was definitely ours. 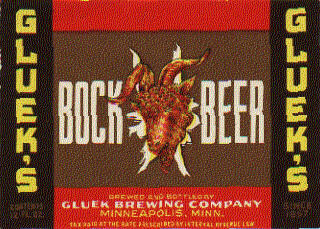 The name of the German strong ale Bockbier, or “Bock,” as it is more commonly known has numerous supposed origins. 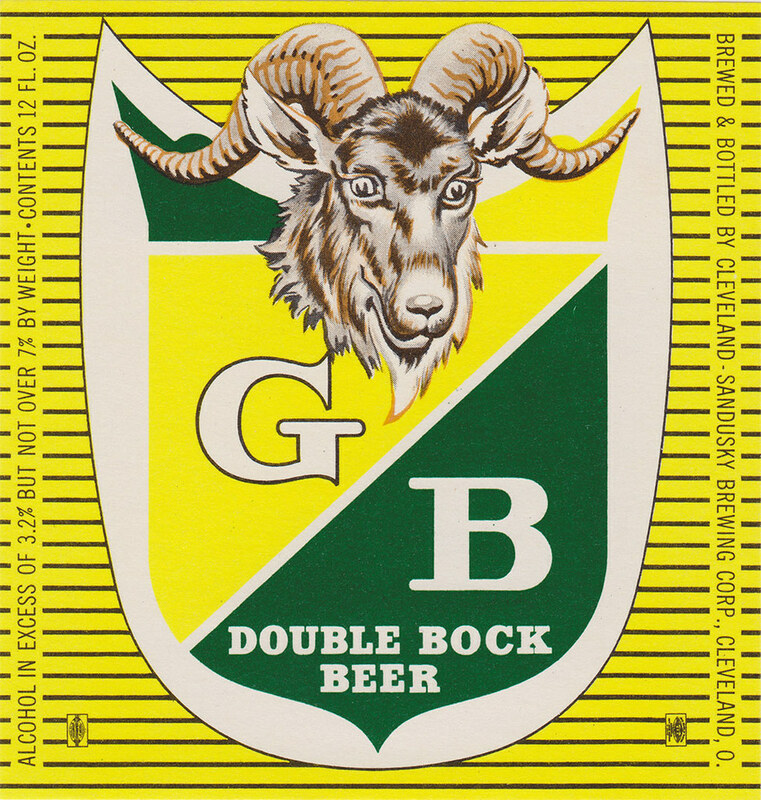 According to Darryl Richman’s 1994 book entitled Bock (Classic Beer Style Series: 9) there are several plausible theories. 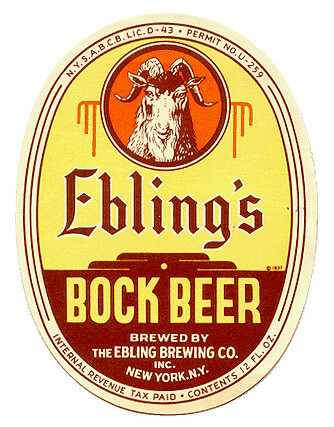 One involves the successful production of a beer of similar style in a small, medieval brewing town called Einbeck, located in northern Germany, whose verbal namesake was corrupted over several centuries to form the word “bock.” Another theory blames the mispronunciation or dialectic interpretation by some heavily drawled Bavarians of a locally produced version of Einbeck’s foamy goodness known as Ainpoeckische. 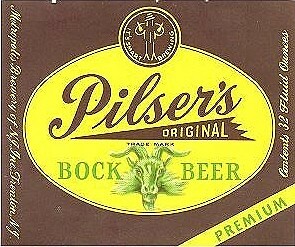 The Bavarians had a unique fondness for the hard “P” sound in place of the softer “B” in words such as bier (beer), which is actually spelled “pier” in the famous 1516 decree by Duke Wilhelm IV “Reinheitsgebot,” also known as the German beer purity law. 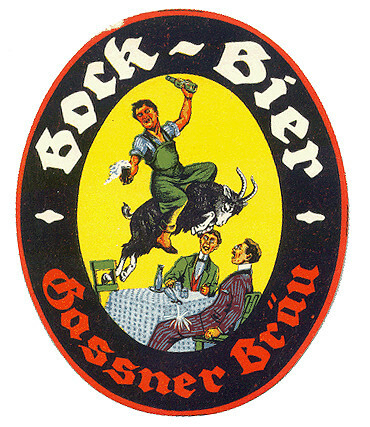 Over the course of centuries “Ainpoeckische Pier” could have become “Poeckische Pier” and ultimately “Poeckpier” (Bock Beer). 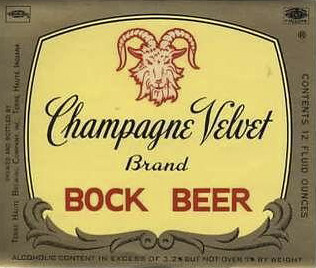 Yet another theory states that the beer has astrological significance since it presumably could only have been made during the cold months ruled by Capricorn. 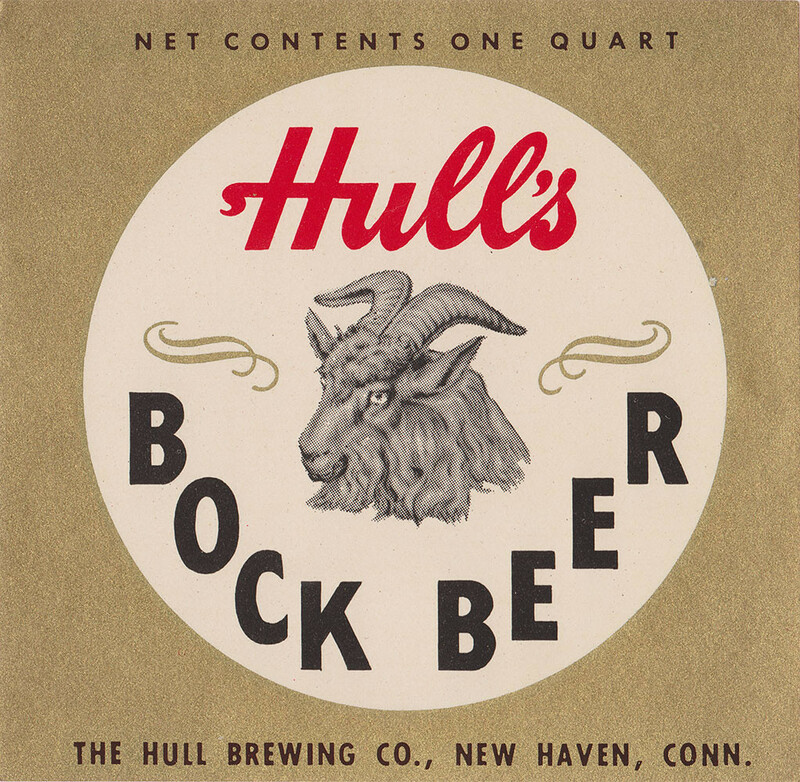 Regardless of which theory of origin is accurate, all bock beer styles nevertheless converge under one unifying symbol, a billy goat. Why? 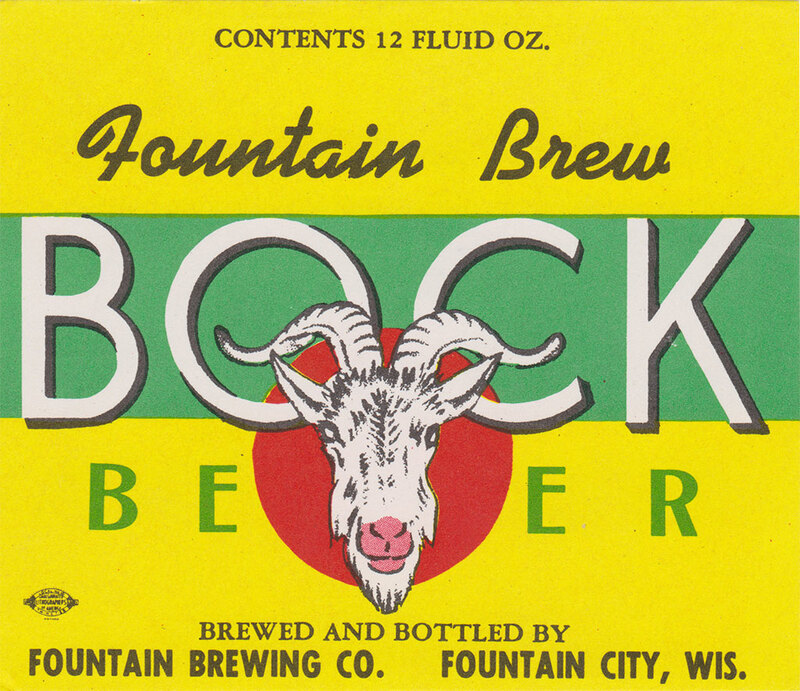 Because “bock” is actually the German word for “billy goat” (Fig. 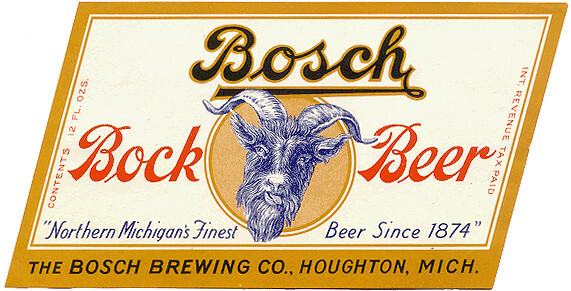 2) and, thus, bock beer labels and signage have almost always incorporated images of goats. 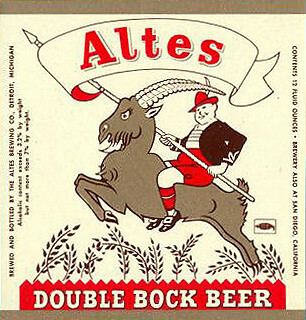 Throughout the years I have consumed numerous pints of this rich, malty wonder and I am personally inclined to believe the goat symbolizes the kick in the head that the five to six percent of alcohol per serving will give you after a couple of rounds. 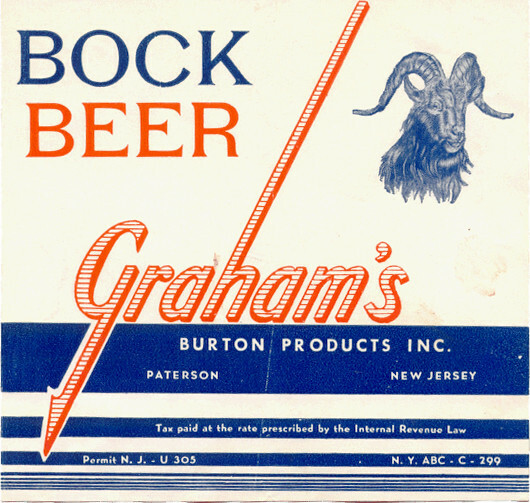 Nevertheless, a traditional symbol for bock beer, the billy goat, became a modern symbol, commoditized and firmly planted in our vernacular. 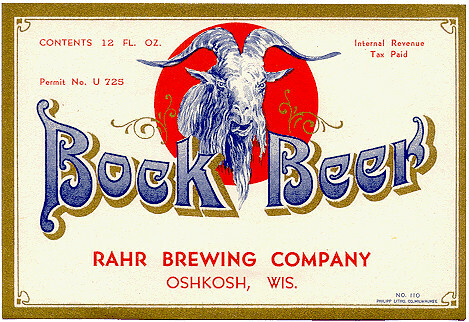 Of course, for a lot of people, the image of a goat has a lot more associations than bock beer. One completely unconnected context has existed and evolved for centuries. Anton Szandor LeVey founded The Church of Satan in San Francisco, California in 1966 during America’s blossoming youth subculture movement. 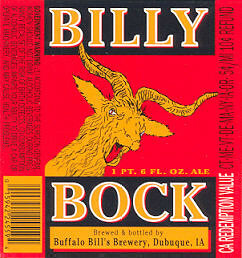 He published his highly controversial book, The Satanic Bible (Fig. 3), in 1969. 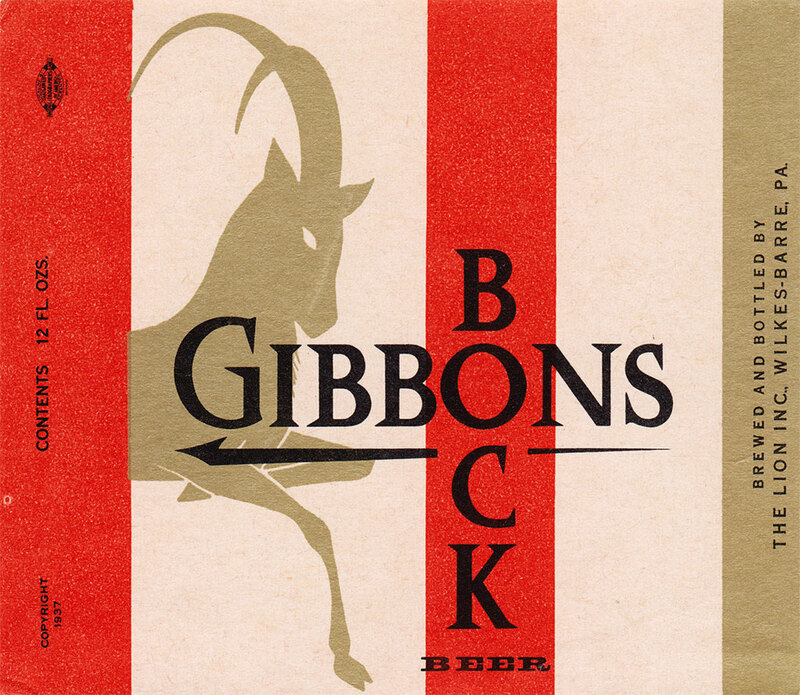 Inscribed on the cover of this book was a sinister looking symbol known as the Sigil of Baphomet. 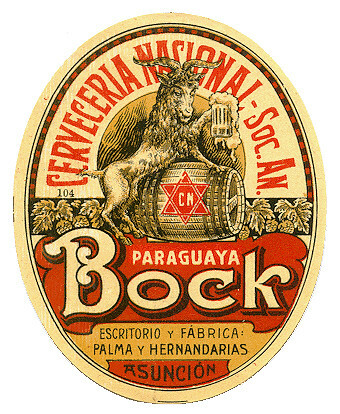 This symbol consisted of the head of a goat geometrically superimposed over an upside down pentagram surrounded by concentric rings containing Hebrew characters. 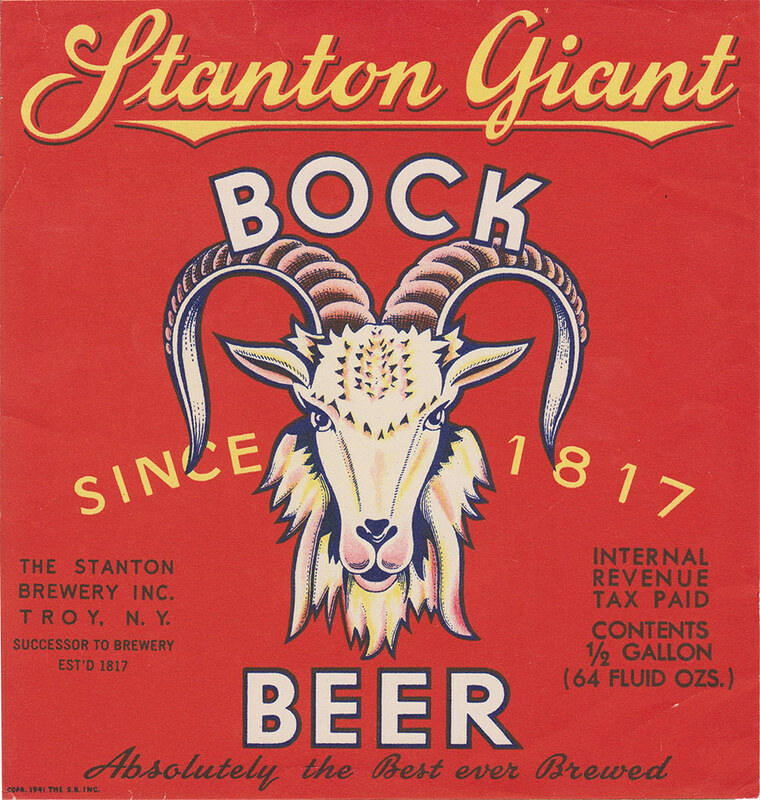 The heart of this symbol, a goat’s head within an upside-down star, was apparently first documented in a 1924 French book entitled “Occult Science and Practical Magic,” written by Paul Jagot. The symbol was displayed with an accompanying caption that read “The expressive Pentagram of subversion.” The symbolism in this image has obvious roots in some classical occult icons, namely the medieval pentagram and Harpocrates, the Ram of Mendes from ancient Egypt. The goat head pentagram is considered by some to be the work of Alphonse Louis Constant, more commonly known as Eliphas Lévi. Lévi was a French theologian and occultist who gave up pursuing the priesthood in order to devote his life to documenting the occult in words and images. It is speculated by some occult historians that an illustration (Fig. 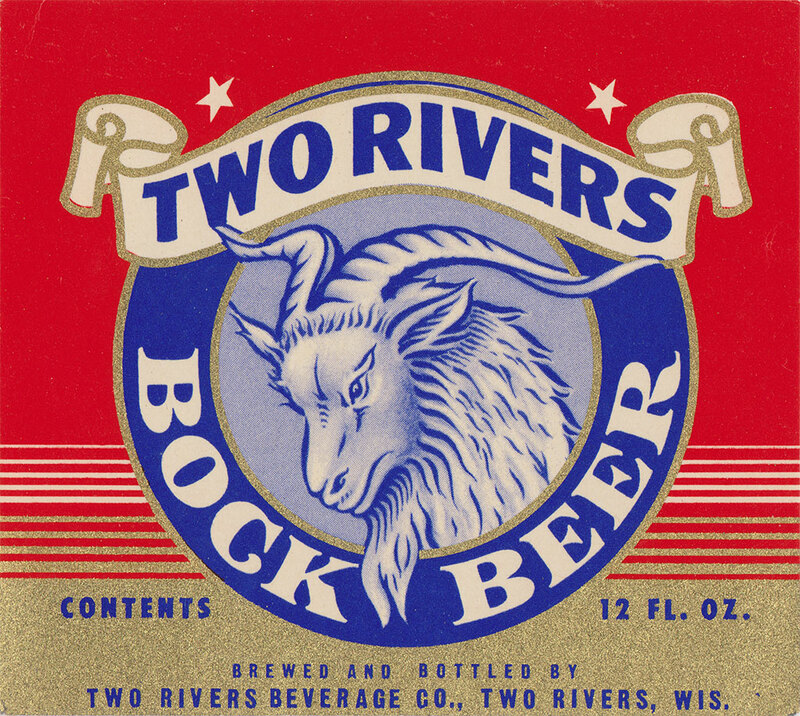 4) depicting a pentagram containing the figure of a man and another, inverted pentagram containing the head of a goat, allegedly drawn by Lévi in the mid 1800’s, was the first distinction of pentagrams as symbols of good and evil, respectively. Whomever the illustration is attributed to is almost irrelevant at this point. 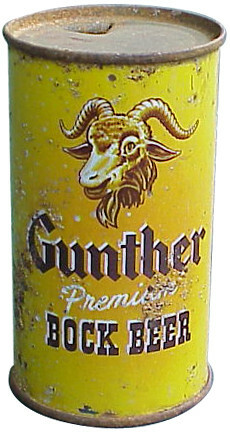 The connection of the goat’s head as a synonymous with evil had begun. 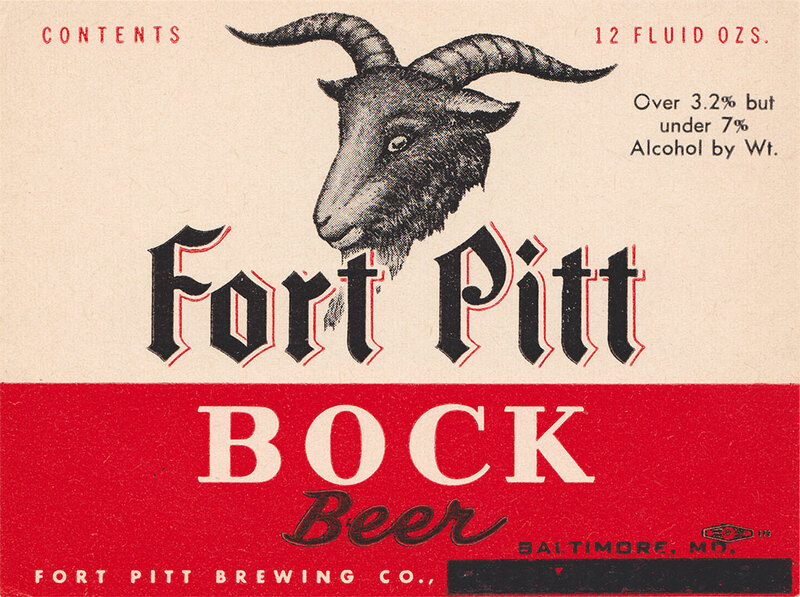 It is also speculated that the image of the goat’s head became popular with occultists after it had sunk into infamy during the late nineteenth century during an apparent hoax had led the Roman Catholic Church to accuse the Masonic Order of devil-worship. Léo Taxil (Fig. 5) (a.k.a. Gabriel Jogand-Pagès), an expelled Freemason educated by Jesuits, who wanted to ridicule the Catholic Church for their constant persecution of Masonry, carried out this elaborate hoax (He possibly had hoped to win back his freethinking friends after revealing the hoax, though it isn’t clear that this ever happened.). To do so, he published a sensational story accusing the leader of the Southern U.S. Scottish Rite, Albert Pike, of belonging to a secret order called the Palladium who committed human sacrifices and worshiped a goat-headed man-beast devil named “Baphomet.” The French public freaked. It’s possible that Lévi had seen Goya’s Witches’ Sabbath (1820-1824), which depicts a circle of women seated around a dancing goat and offering to it their dead infants (Fig. 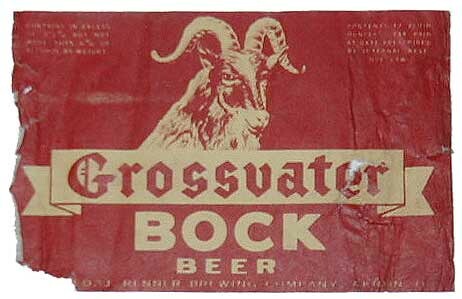 7), and was subsequently inspired to use a goat’s head for his image. 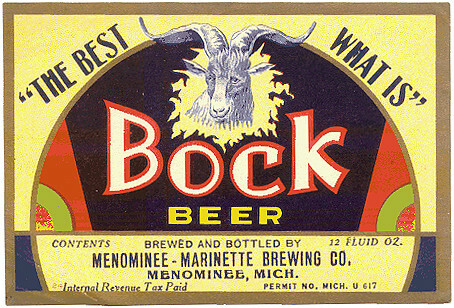 Whatever his inspiration, the Baphomet’s meaning symbolized evermore—thanks to Leo Taxil—devil worshiping, evil, Satan. And as if things couldn’t get any worse for the goat, in 1909, Arthur Edward Waite produced what is today the definitive Tarot card deck, illustrated by Pamela Colman Smith. 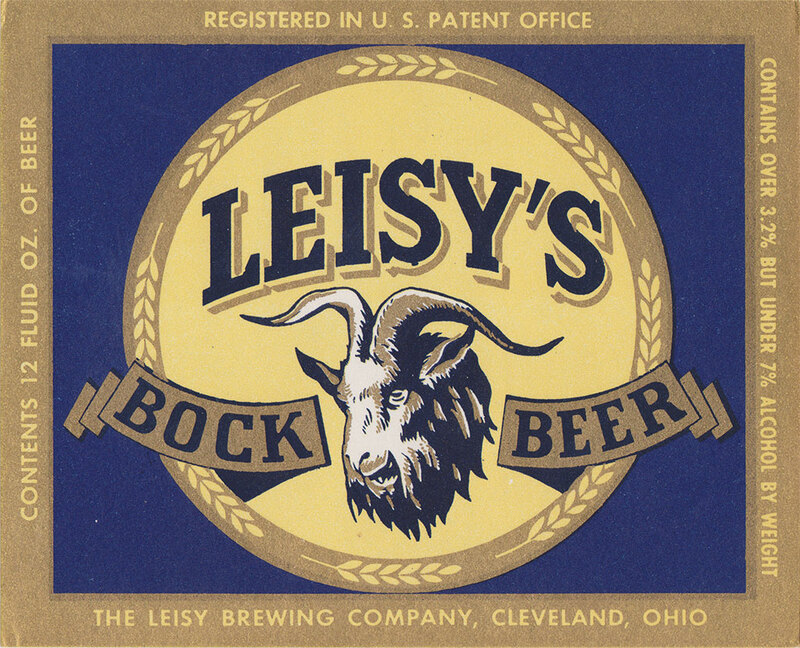 For her fifteenth trump card, “The Devil,” Ms. Smith plagiarizes Lévi’s Baphomet almost to a tee and the rest, as they say, is history. But that’s just part of the story. 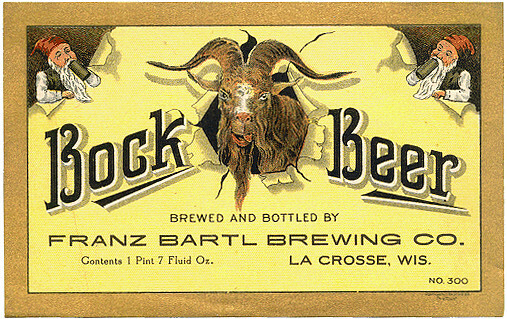 We know that the Sigil of Baphomet is the de facto symbol representing the Church of Satan. 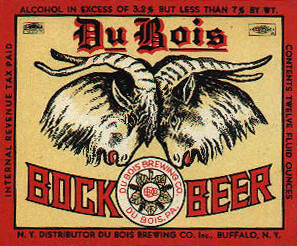 In fact, the U.S. Patent and Trademark Office granted the Church of Satan a registered trademark in 1983 for a somewhat stylized version of this symbol. 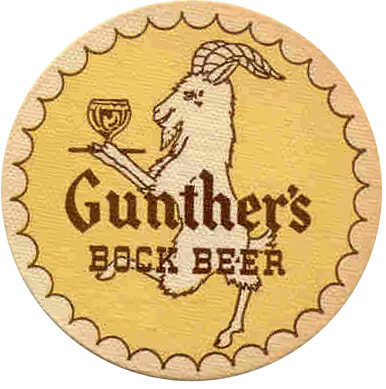 Since its first wide-spread popularization, via the publication in 1969 of The Satanic Bible, the symbol of the goat’s head has been widely accepted as an icon of evil by the likes of occult worshipers, witches, novelists, Christian fundamentalists, Hollywood television and movie producers, and most consistently by the creators and admirers of an underground music genre known as Black Metal. 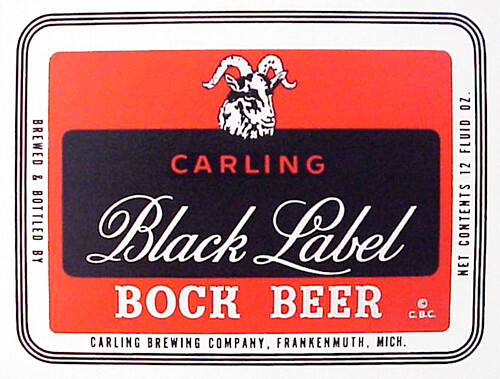 Black Metal, not to be confused with Death Metal or Speed Metal, is a highly specific genre of heavy metal that traces its musical origins back to bands such as Britain’s Black Sabbath and Motorhead as well as classical composers such as Wagner and Bach. Though, stylistically, it occasionally resembles other forms of underground heavy metal, Black Metal focuses as much on its highly conceptualized lyrics as its classically inspired musicianship, though some bands perform far better than others in that regard. Band names of this genre seem inspired by the very subjects they write songs about: Darkthrone, Graveland, Sacramentum, Angelcorpse, Immortal (Fig. 8), Samael, just to name a few. Much of the imagery evoked by the song titles and lyrics of this style is certifiably bizarre by most mainstream standards, which is a large part of its intent. Songs roam wildly through darkly romanticized and introspective worlds, sometimes making references to mythic Northern European warlords (many bands hail from this part of the world and usually sing in their native Nordic and Germanic languages), suicide, bloody (yet very poetic) violence, Satanism, melancholy, nihilism, and sometimes espousing the anti-Judeo-Christian ideals of Neo-Nazism. The music itself often teeters back and forth from unbelievably fast thrash to slowly pounding rhythms to melodic, classical keyboard passages to even ambient/techno soundscapes, while the vocals appear as either angry shouts, barely distinguishable growls, melodic moaning, or shrieking howls, depending upon the mood of the piece. One band from Newcastle, England almost single-handedly launched Black Metal, at least by name. The band is called Venom and they are widely considered to be the primary influence for many underground sub-genres of metal that emerged in the mid to late 1980s. Venom’s early influences included the British heavy metal bands Black Sabbath and Judas Priest, early heavy rockers Deep Purple, and the American theatrical rock band Kiss. With the release of their ground-breaking debut album in 1981, “Welcome To Hell” (Fig. 9), and their follow-up release in 1982 entitled “Black Metal” (Fig. 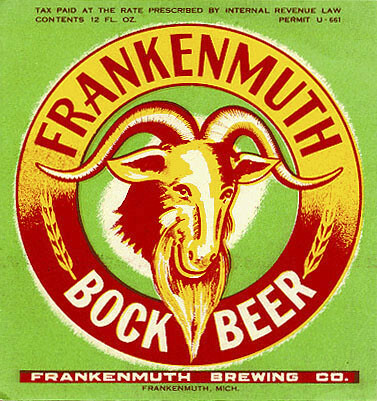 10), Venom inadvertently defined a genre and gave it its name, announcing in the latter’s title track to angst-ridden teens everywhere: “Lay down your soul to the gods’ rock and roll!” Fittingly gracing the solid black covers of both of these vastly influential albums is none other than our old friend, the evil-looking goat’s head. 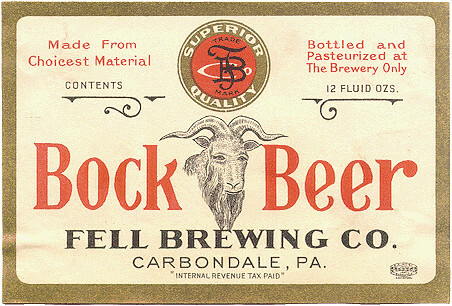 In fact, the cover of “Welcome To Hell” displays a full-size Sigil of Baphomet, which is almost identical to the one trademarked by the Church of Satan. The songs on Venom’s debut album were truly darker and more evil than anything that had come before, incanting odes to the Prince of Darkness in numbers such as Sons Of Satan, Welcome To Hell, Live Like An Angel (Die Like A Devil), and In League With Satan. While Black Sabbath’s song lyrics and album cover art certainly incorporated images of black magic and witchcraft as early as 1970, what made Venom so influential was that no other band up until 1981 had so completely embodied such a blatant personification of evil in a first-person voice. Their albums consequently flew off the shelves, filling thousands of bored and curious teenagers’ bedrooms with a blueprint for rebellion that would strike fear into the hearts of even the most progressive-minded parents. One look at their son or daughter in a Venom concert t-shirt, emblazoned with the Sigil of Baphomet and they’re immediately on the phone with an exorcist. While I was unable to ascertain the motivation behind Venom’s decision to appropriate the Church of Satan’s logo for their debut album’s cover art (in an interview, singer/bassist Conrad “Cronos” Lant claims to have design the sleeve, but not necessarily the Sigil itself), it’s not hard to imagine what their brainstorming session must have been like. After all, the album was called Welcome To Hell and, twelve years after it’s initial publication, Hell had a handbook—courtesy of Anton LeVey. Part Four: So, where do we go from here? I’m currently hung over from a night of heavy drinking with some friends. 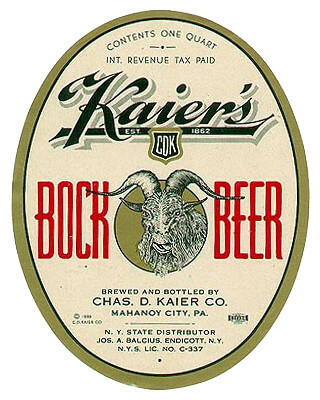 At least one of the beers we had was a Bock—an Ayinger Maibock to be more precise—about 7% alcohol by volume. That gives quite a kick and doesn’t my head feel like it, too. Hurts like the devil. Just kidding. 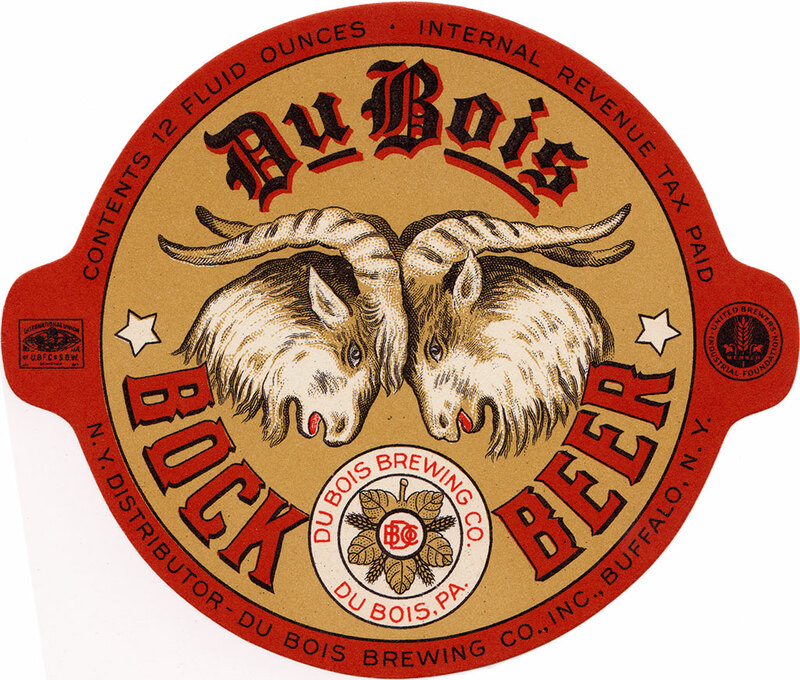 While I realize I’ve followed so many wild tangents to such ridiculous lengths in this article, the proof in the pudding really is the actual beer labels themselves, which you will now see. 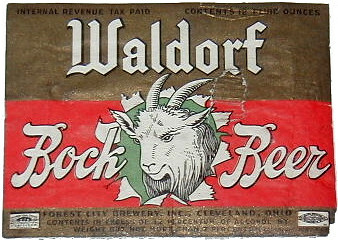 The image of the goat’s head on these labels surely was not rendered with the intent on invoking Satan (Fig. 11) or representing evil in any way. Nevertheless they are quite spooky looking. Some are more playful than others while a few are down-right sinister looking. And this is what I bring to the mix as I view them simply because I have been conditioned to see them as such by years of books, movies, television, Christians, witches, heavy metal albums—the list goes on and on. 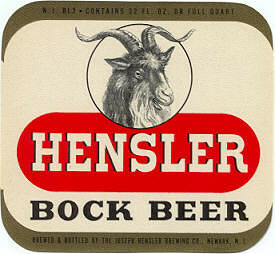 You will have to view these labels and decide for yourself what feelings and/or emotions the goat conjures up. 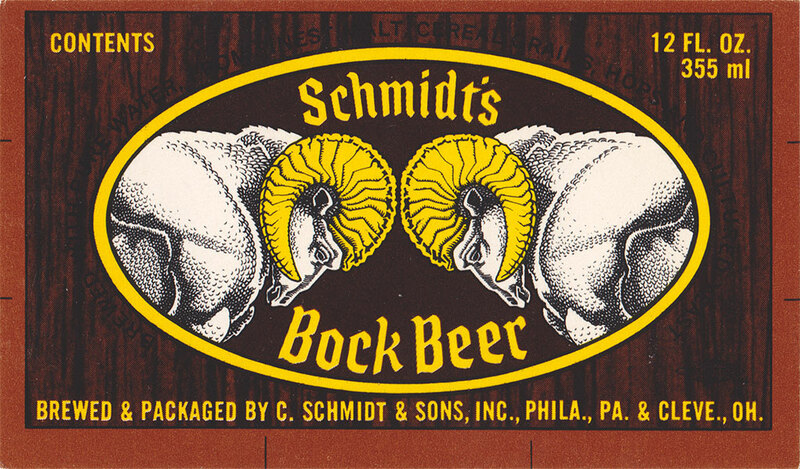 For me they will always be just a little “off.” I’ve included a few notes about each label in the exhibit including the beer name, brewery, and city of origin. Dates were nearly impossible to determine without a lot more research. 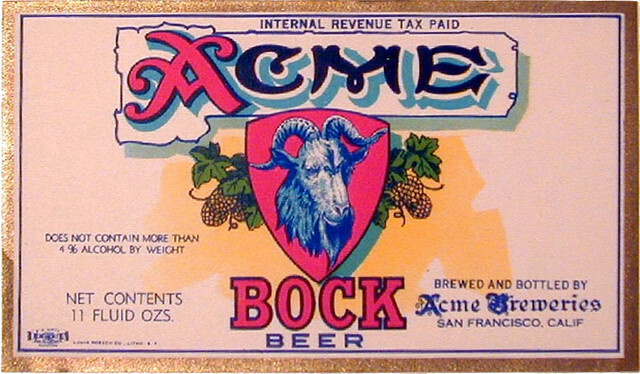 However, you can tell if a label was printed before 1950 by seeing if the words “Internal Revenue Tax Paid” or the initials “I.R.T.P.” appear anywhere on the label. Without these markings the date is anybody’s guess. 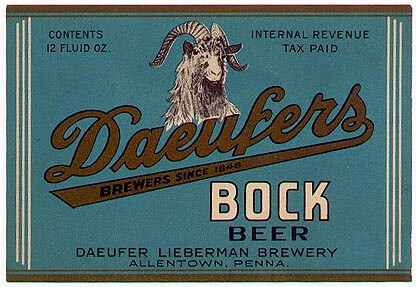 I would like to thank Jenny Lander for her editorial input, Dale Meier for letting me use his remarkable goat photographs, Steve and Sylvia Weir for moving to the great beer-brewing state of Pennsylvania, and yeast for its role in the fermentation of malt sugars. 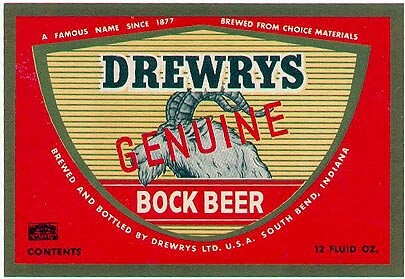 For without it we would simply have no bock beer and possibly a far less active imagination, depriving us of religion, art, music and, most important of all, a sense of humor.